This morning Matt brought in the most delicious muffins from Brooklyn, so fresh they were still warm from the oven. No wonder Blue Sky Bakery has a cult muffin following - they're amazing. 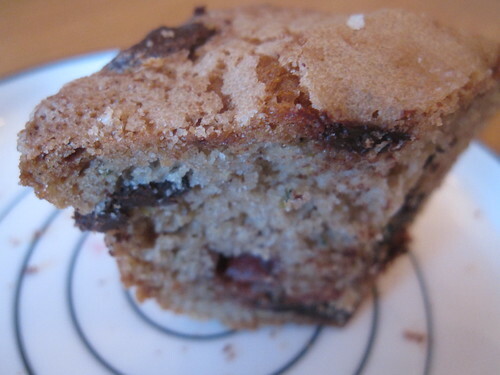 I waited until the afternoon to try a piece of the chocolate chip zucchini muffin and even after sitting out all day on a tray, it was STILL good. Blue Sky Bakery has, hands down, the best muffins in NY. Their bran muffins are to-die-for. You must check it out!